Even though there has been some developments in waterproofing technology over the years, locally, South African contractors seem to stick with what they know. “Torch-on membrane has been the product of choice for several decades and contractors have become so used to its application that they have become almost blind to alternatives,” says Phil Llewellyn, chairman of the Damp-proofing and Waterproofing Association of Southern Africa (DWASA). Llewellyn explains that polyurethanes have a far lower carbon footprint than bitumen-based products and thus provide a more environmentally-friendly face to the building industry at a time when the Green Building Council of South Africa is looking to greatly reduce the impact of new building materials. “In Europe the use of naked flames for the application of torch-on membranes for new builds has been banned in several countries and may, for the time being, only be used for the repair of existing materials,” he states. But polyurethanes do not only have advantages from an environmental perspective, Llewellyn points out. “They are far easier to apply, requiring much less skill from the applicator, and have a much longer life, most often without any maintenance. Typically, a waterproofing polyurethane has a guaranteed life of ten years and, unless subjected to mechanical damage, will provide the most cost-effective solution for property managers and owners,” he says. 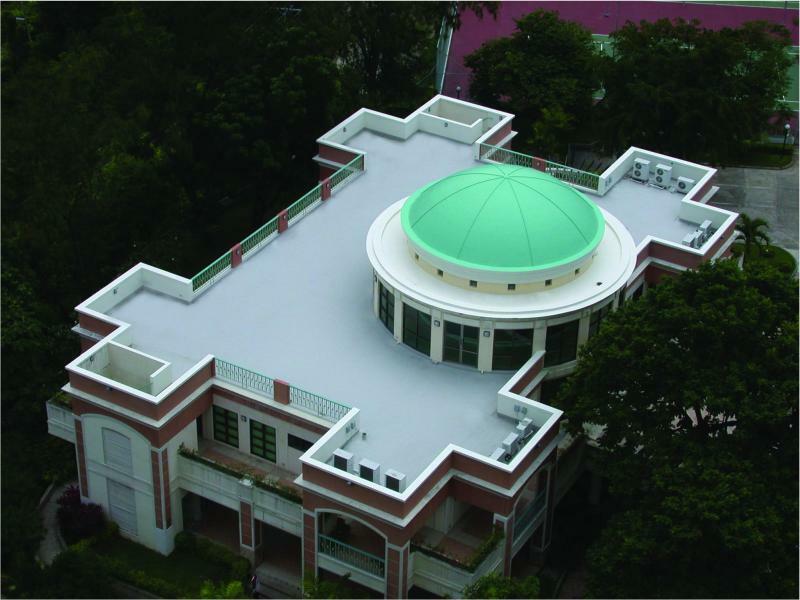 Polyurethanes can be used in a multitude of different applications ranging from waterproofing flat roofs to the protection of car parking areas, water tanks, reservoirs, balconies and foundations. They also provide highly durable flooring solutions for hospitals, warehouses, garages, offices and shopping malls. As a one-pack system, they also avoid the difficulties often experienced with two-pack epoxy systems. “Whilst torch-on membranes will be with us for many years, there is no doubt that the South African government will be under pressure from environmental action groups and the Green Building Council of South Africa to introduce similar legislation to that in the European Union over the next few years. It is, therefore, a good idea for contractors, property owners and managers to familiarise themselves with this new range of waterproofing products and to start investigating and planning for their introduction into new and existing projects,” he advises. Full thanks and acknowledgment are given to the Damp-proofing and Waterproofing Association of Southern Africa for the information given to write this article.